When things work out fine without even trying, that's when we say we've "tao'd out". When things appear to be out of balance but we somehow land on our feet, we say "well, it's a good thing that happened!" Things always seem to work out for the best. "Tao Out" is an expression we've used for over 20 years. We all make choices in our worlds, but there are things happening in the universe beyond our control and knowledge. Sometimes you just have to stop trying to push the river. Let it flow - TAO OUT! 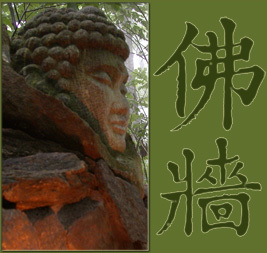 The above characters Fo Qiang are translated as Buddha Wall. on top of the stone Buddha Wall in a peaceful wooded area. Otis has been studying Chinese language and calligraphy for over 20 years. 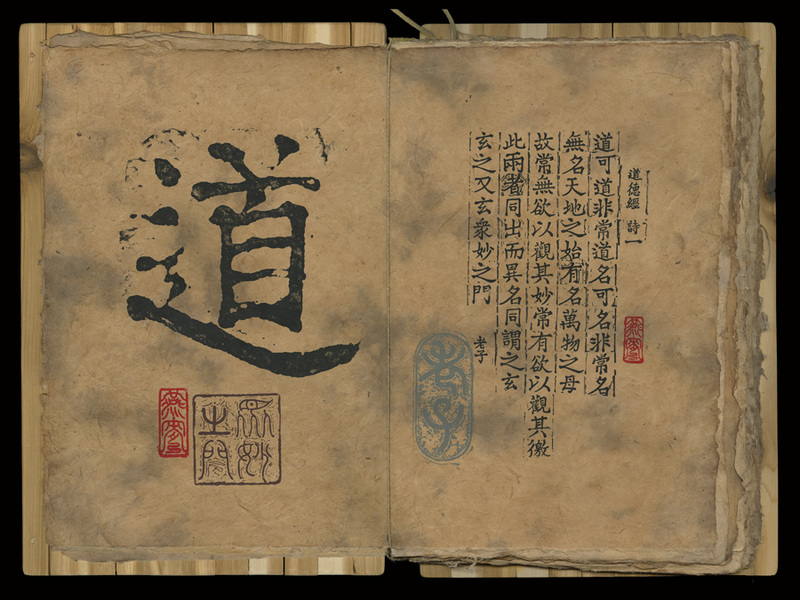 He created original block prints of twelve of his favorite poems from the Tao Te Ching. These poems were hand-printed on lokta paper made in Nepal. The book pictured above has a handmade cedar wood cover crafted by Otis and there are only 3 in existence. New original block prints and digital images printed on archival quality fine art paper are being offered for sale. A translation will be provided with your print at no charge. All 12 poems and their translations will be featured in 2016. In the meantime, here's a preview of some Chinese characters that are available for purchase upon request. In addition, if you have a word or phrase that you'd like created in Otis' style as shown in the following images, please contact us at the above email address for a quote on your custom art project. Examples of other projects already ordered will be shown here soon. © Copyright 2016 taoprints.com - All rights reserved.